Many people throughout the world have the skills they need to provide for themselves, but they lack the means to purchase required tools. Without these necessary resources, many become daily laborers, depending on inconsistent income to meet their financial needs. Simple gifts, such as sewing machines or rickshaws, can provide families with a source of income, meeting their needs in such a way to make their daily lives easier. Thanks to your generosity, GFA-supported Christmas gift distributions have provided invaluable gifts to hundreds of thousands of families in need. Here are just a few stories from two such distribution events. Goral had dropped out of high school to find work and provide for his parents. He joined a tailoring shop and learned the craft of sewing clothes. Unfortunately, he was only getting a small amount of money each month. Then Goral, now 20 years old, received a sewing machine through a GFA-supported Christmas gift distribution after his pastor found out about his need! At a GFA-supported Christmas gift distribution, Kalpa received this solar light! This simple device provides bright light to study by. It will also help his family save money that they would have otherwise spent on kerosene to light their lamps at night. Kerosene lamps were not enough for Kalpa’s siblings to see their homework in the evenings. They often struggled with studying because it was too dark to read and write. Kerosene lamps are also expensive to maintain, which can be difficult for poor families to afford. 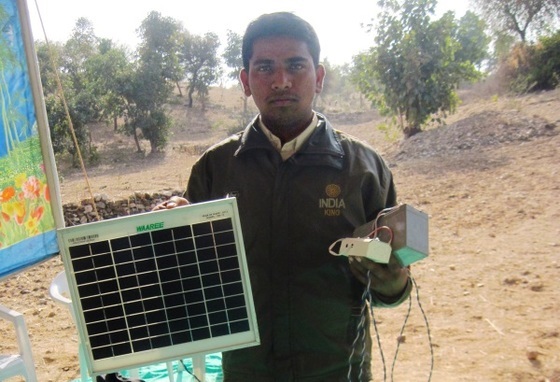 Thankfully, the Lord provided a solar panel for Kalpa’s family! 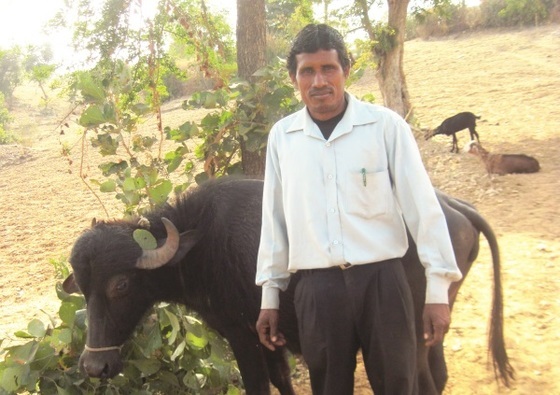 This is Ravan with the water buffalo he received through the generosity of GFA friends like you. Thank you! Ravan worked as a daily laborer, and he depended on each day’s earnings to feed his four children and send them to school. But sometimes his children would go hungry. Then he received a gift he never dreamed he would have: a buffalo. Eshan, like many in his village, was poor. He earned a meager living as a daily laborer. As he strived to provide for his wife and son, he faced frustration and discouragement because he did not earn enough money to feed his family. 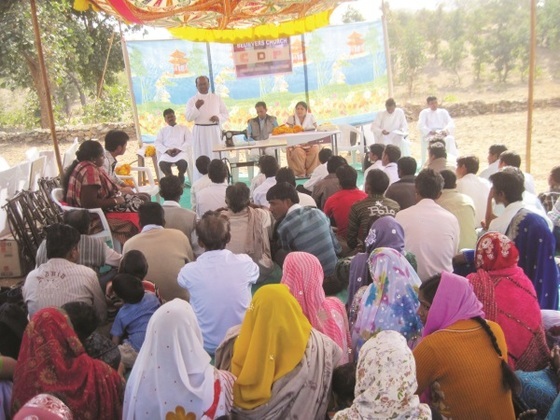 By the Lord’s grace, his pastor saw his struggle and advocated for him to receive a Christmas gift. He received a rickshaw, which helped him to earn a steady income. Eshan could not control his joy upon receiving his gift!